Garlic oil contains low concentrations of diallyl trisulfide that releases hydrogen sulfide which has shown to protect heart tissue. Garlic contains an ingredient that has the power to prevent the destruction of heart tissue which can lead to heart attacks. The compound, diallyl trisulfide was tested by scientists on mice at risk of heart damage from blocked coronary arteries. Researchers at Emory University School of Medicine in the United States have turned to diallyl trisulfide, a garlic oil component, as a way to deliver the benefits of hydrogen sulfide to the heart. 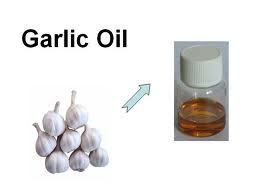 Normally the unstable and volatile gas is difficult to deliver as a therapy because it needs to be injected but now with garlic oil it can be administered orally. Hydrogen sulfide or H2S in high concentrations is a deadly poison but in small amounts like our body produces naturally, hydrogen sulphide serves several key functions, it reduces inflammation, lowers blood pressure and keeps cells alive. In the study, researchers blocked the coronary arteries of mice for 45 minutes, simulating a heart attack, and gave them diallyl trisulphide just before blood flow was restored. The administered compound reduced the proportion of damaged heart tissue in the area at risk by 61 per cent, compared with untreated animals. The findings were presented at the American Heart Association’s Scientific Sessions meeting in Orlando, Florida.